Two Dot Books, 9781493028443, 208pp. 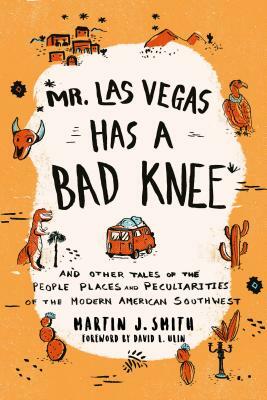 Discover the Weird, Weird West For more than thirty years, journalist and author Martin J. Smith traveled the American West, chasing offbeat stories that were often bizarre, always compelling, and at times profound. His journey through that oft-idealized and misunderstood landscape has made him a witness to some of the West's most interesting places, people, and events, from his Valentine's Day at Nevada's Mustang Ranch brothel to the deathbed of a man who spent three decades building two 150-ton concrete dinosaurs in the desert. This collection of essays, often told with the wisdom and perspective of a writer looking back, chronicles in vivid detail the heroes, heels, and cultural spasms of an endlessly fascinating frontier. MARTIN J. SMITH is a journalist, magazine editor and winner of more than 40 newspaper and magazine writing awards. A former senior editor of The Los Angeles Times Magazine and Orange Coast, the magazine of Orange County, he's the author of four critically acclaimed suspense thrillers and three nonfiction books, including The Wild Duck Chase, upon which the 2016 documentary film "The Million Dollar Duck" is based. He lives in Granby, Colorado.